I have 1 domain with 11 miva stores in it. 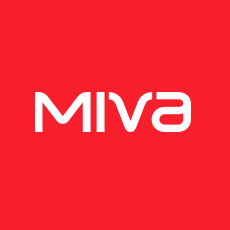 To my knowledge, none of the currently available Google Analytics modules offer the required flexibility to handle integration with a Miva Merchant Mall. This is one of those cases where you need to be able to alter the Google Analytics code to handle the different account numbers during checkout and deal with tracking across multiple domains. What would happen if in the GOL module set up I put the same store name in all 11 stores? I don't see that as making a difference, but you would need to take that one up with the modules developer. I wrote the developer last week and his reply was to contact [email protected] (non working email address). So I might be up a #$%@ creek. Does anyone know of a google module that works for miva mall? I don't believe there is one, you might check with www.ecomiq.com and Morgan Jones. You don't need a module to pull this off. Some customizations to the Google Tracking and conversion code and your up and rolling. I am not a fan of using modules for Google Analytics integration with any Miva Merchant store as each store is different and there are times, such as this, when you need the flexibility to alter the integration code to meet your specific needs. To be blunt, I am disappointed that Miva Merchant now offers the GOL module for free as a lot of store owners are hopping on the band wagon and shooting themselves in the foot. I have had to remove this very module for numerous clients and get things set straight. There have been some examples posted on the forums of the general tracking and conversion code that could be altered to work for you, however if you are not comfortable with SMT template coding and the ins and outs of Google Analytics, I would recommend having it professionally integrated. We have done numerous Google Analytics/Miva Merchant Mall integrations and can most definitely be of assistance here, however there would be a charge for our services. To be blunt, I am disappointed that Miva Merchant now offers the GOL module for free as a lot of store owners are hopping on the band wagon and shooting themselves in the foot. Kent isn't this exactly how new customers for you are born? We offer something complex for free, people get excited, realize it's important but they still need a professional and now you and others like you in the community benefit. Unfortunately this is one of those cases where I think the experience to get to the point where they realize they need professional help puts a sour taste in their mouth. We also have to eat the cost of stripping out the GOL module, which does not clean up after itself, making it a time consuming process that usually results in a loss for us. That is a lot of disappointment before they get excited about Google Analytics in my opinion. Dan sorry about that, not sure why I thought Kent wrote that. I'll email you offline about this. Somebody PM'd me asking why not ALL sales are tracked by google analytics. Answering it here because if it hasn't been asked before on this forum it surely will. Myself, I really don't care about missing out on 2% of my order data becuase statistically it is insignificant. (took me until grad school stats class to not care, but heck I really don't now). This will get your missing teenzy tidbits from that very little used old browser. If you want to know more.. dozens of people have discussed it on the google forum about analytics. Seriously though.. so few people use that old browser, it probably isn't statistically relevant to go through the trouble. Your store itself will provide the most reliable information, not some third party site. Last edited by kayakbabe; 12-01-08, 03:24 PM. My issue is a bit larger than "statistically...insignificant." In GA Ecommerce Transactions I am only showing as few as 50% of the transactions that show up in Miva. I am using Gilligan's module, modified by the code provided by Kayakababe for the global footer. Was there something else to do other than modify the footer? I also use Weilands' Paypal-R module (sends users to Paypal page to input cc information) for all of my transactions. Could sending the user away from my site create the issue? Bingo! You nailed it on the head. You are using the payment method where they leave your site. Intead of the integrated way to keep them within your pages. I think I read somewhere about how you can send a variable to paypal which will be returned when the confirmation of order returns a customer back to your site.. however they have to return to your site. Then you can grab this variable and feed it to you google analytics script. You might hunt on the google analytics forum to dig for it. I do remember seeing it there a couple of months ago. If I had kept a link to it , I'd give it to you. the 50% confirms that this is the issue.. You are seeing 2 visits instead of 1 for each buyer. There is a work around I saw being referred to. It involved using paypal with the PDT turned on. This will send lots of info about the paypal payment on a url of your choice. Then you can use a landing page (which doesn't have the ga.js on it to grab the info, put it into a form your store can use.. and send them to another page (the invoice) with a special google tag included in the ga.js script which tells google to disregard the referrer. That way google analytics will think they came from your site and ignore the side trip they made over to paypal. From what I have just read it looks like a real pain! It would be easier to switch the type of payment method with paypal to the one that is more integrated and doesn't require a person to leave your web site. Plus then you don't have to worry about sales in your store that look sold.. but really aren't becuase people didn't finish in paypal. With the more advanced type of integration... it's a much smoother sale process. to direct paypal payers to on your store. You would have to use your own custom ga checkout script.. instead of using the gilligan one. You can have the script built using storemorph code. in the google analytics commerce section of the code on that page. this would wipe out the fact that the person came from paypal. Okay.. I"m finally out of ideas. Last edited by kayakbabe; 12-05-08, 10:47 AM. I have no clue about that footer code - in fact, you shouldn't need anything additional. however - paypal will not get recorded, as you are leaving the site - and payPal is not (last I knew) carrying thru the transaction. It surprises me that any show, but this is near 100% the problem. William Gilligan - Orange Marmalade, Inc.